Sutton Group Professional Realty is pleased to welcome Gretchen Ellis to our team. Gretchen is a hard-working, dedicated professional who likes to ensure that things go smoothly with her clients, whether they’re looking for a new home or selling their existing property. Gretchen’s primary goal is to help clients achieve their real estate dream! With a firm handshake and a warm smile, clients feel confident that Gretchen will take care of them and their moving needs. When not busy with clients, Gretchen can be found spending time with her dog, and property management. Sutton is thrilled to be growing with great agents like Gretchen! If you’re an agent looking for a big brand without all of the big brand fees, contact Jennifer Morrison today to find out about the Sutton Advantage! Please join us as we extend a congratulations to Sutton’s Top 10 REALTORS for the month of February for deals written. The spring market is heating up! Sutton Group Professional Realty would like to welcome Rick Findlay to the team who joins us from Royal LePage Atlantic. Rick is a no-nonsense kind of REALTOR® and prides himself on his honesty and integrity; always working for his clients’ best interests. Rick is dedicated, knowledgeable, and committed to finding the perfect fit for his clientele. His devotion and unparalleled customer service have resulted in a continuously expanding network of loyal clients and referrals. Rick treats his clients’ needs as his own when searching for the perfect property, or helping them secure the best deal for sellers. In his free time, you can find Rick watching, or talking sports, playing golf in the summer, hockey in the winter, and hanging out with his dog Scruffy. We are so thrilled to be growing and adding great agents such as Rick. 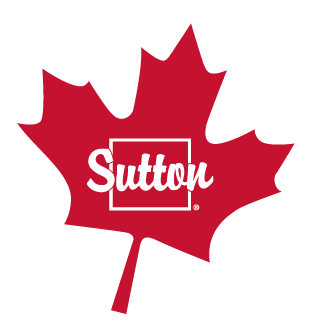 If you are an agent tired of the high fees of other brokerages, reach out today to see what Sutton can do for you!